On Friday, after another busy day, we actually went so far as to ask Jesus to please keep all babies inside of all bellies for this one weekend. So far it is working. We enjoyed a day with friends today and have a family day planned tomorrow. Of course I'm not the only tired person. The whole little Heartline Maternity Center team doesn't want to look at any vaginas this weekend if at all possible. It's weird how a really difficult and busy week doesn't allow time to process anything and then you come home and find out that the really difficult week made your kids sad and disappointed and even that you hurt one of your kids with something you didn't do and then you're incredibly sad about that and then you still don't process the difficult week because you're trapped in a glass cage of emotion and you kind of just want to curl up in a ball and wait longer to begin to feel it all. 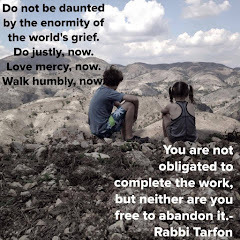 I don't have the oomph required to break down those four births and that long week of sick kids, very little sleep, sick self, sick husband, strained relationships, difficult goodbyes ... I only have the oomph to say - God is faithful. Even when I've been bawling my head off over one situation or another, I've had this sense that I'm not alone and I'm not battling anything unknown to my Heavenly Dad. He showed Himself to me in the middle of the messes.That helps a lot. Gidette named her baby girl "Fredge"
Yes, no seatbelt. Yes, head out window. Yes, this is illegal in many countries. No, not this country. Yes, unsafe. No, not looking for feedback. Obviously, we are always pulling for every woman that comes through the program. Every once in a while there are situations that multiply the intensity of our desires to have a happy outcome. Many moms that come have lost multiple children. We've met a lot of older first time moms. We learn about difficulties in their lives and it makes the desire for healing that much greater. We want their babies born healthy and safely and we pray for the Lord to use the babies to bring them joy and to bring healing to their hurts. After almost losing Wislene on Monday night there was a certain level of anxiety going into Edline's birth. We all love Edline and she obviously has faced much adversity in her life. She is so brilliant and funny and enjoyable to be around, we desperately wanted a perfect outcome for her as she worked to welcome her son, Shane, into the world yesterday. 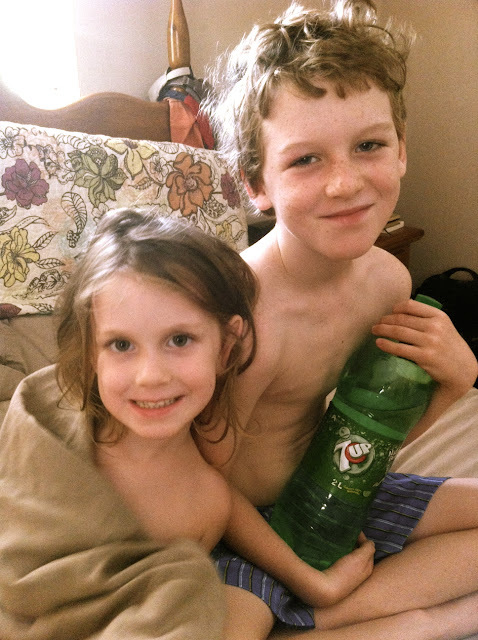 Edline's water broke Monday night at 36 weeks but labor did not start. We needed to get labor started by using pitocin, something we very rarely do. Edline started having contractions around noon on Tuesday. They got painful for her around 6pm. She pushed for about an hour and delivered a few minutes before 1am. Even though Shane was early he is 6 pounds 10 ounces and looks great. Edline began the day thinking she couldn't get off the bed without help but by 3pm she was marching with high knees around the driveway working to advance the ball (baby) and get things moving quicker. Her family was precious and we laughed and enjoyed each other's company all evening as we took turns encouraging Edline. I define myself by the courage I've found to forge new roads. I do not define myself by how many disappointments I've faced. I define myself by the forgiveness & faith I have found to begin again. I do define myself by how much I have loved & been willing to love again. I do define myself by how many times I have struggled to my feet. I am NOT my pain. I am NOT my past. Edline started out pretty afraid, but was amazing once she found her strength and courage. She is such a great communicator and always told us when she needed more encouragement or was feeling afraid. I can honestly say it was one of my favorite labor and birth experiences as a midwife apprentice. I love Edline. I love the team at Heartline and the joy with which the more experienced midwives and medical wizards teach, mentor, and train. Welcome to the world baby Shane! You are loved, your momma is too! Late last month I was tipped off by my friend here in Haiti (thanks Ruth!) about an essay contest that Rachel Held Evans was hosting. Rachel is running a series of posts describing "Women of Valor". I am honored that my essay was chosen to be published on Rachel's site today. You can read it below, or on Rachel's website by clicking HERE. Happy, HAPPY Birthday to this woman of valor. For the last six years Beth has been responding to a new call. As a quinquagenarian she had the moxie to make a major career change. She left her beloved island home of Haiti to officially begin her midwifery training in the Philippines at the age of 52. Since then she has spent countless hours memorizing medical terminology, the physiology of birth, and signs of preeclampsia. Celebrating Edline's 38th birthday & Wini doing her prenatal visit. Edline is pretty nervous about her delivery, please pray for her. our new entry-way art ... compliments of Sarah D.
Fridays at Heartline there is a 10am Bible Study led by Agathe. After Bibles Study Wini teaches a class about birth control and especially focuses on DepoProvera. Women that want to stay for Depo shots can stay. Women that think they are pregnant and want to get into the Prenatal program stay to be interviewed/screened. After all of that is finished there are usually a few other situations to sort through. It is always a busy and somewhat chaotic day. We are thankful to offer women a chance to get free birth-control and have a bit of power over their future. The Depo program is growing by about ten new women every week. We have more than 500 women in that program at this time. In midwifery training it is important and necessary to work under a preceptor. I will have at least two preceptors. Sarah O. and Melissa C. are both going to be supervising, teaching, correcting, and helping me. It is going to be a busy week with Sarah O. in town ready to share her wisdom and experience. Here's hoping my brain isn't too atrophied to hold onto terms like trophoblast, blastocyst, and chorionic villi (that sounds like a villain in a cartoon, doesn't it?) I am truly blessed to have these loving and brilliant women acting as my preceptors. The Sarahs are visiting from CA. 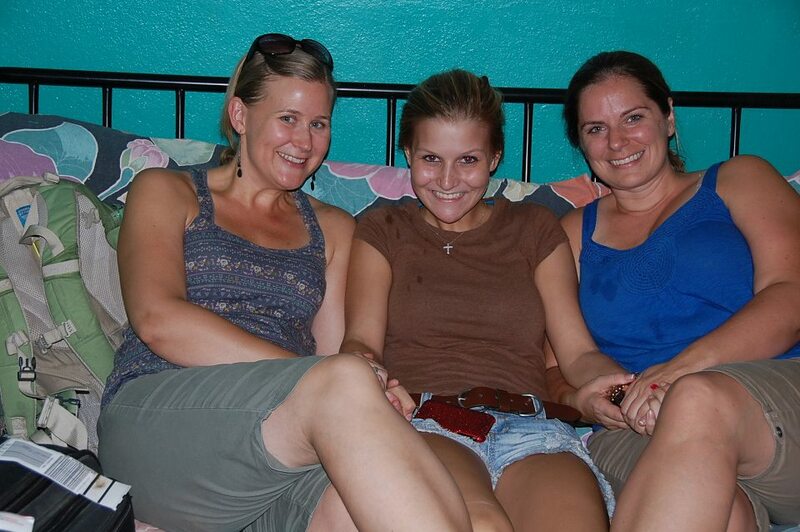 You might remember they are the kind women that housed Paige for her summer CA adventure. We're all so excited when they visit. 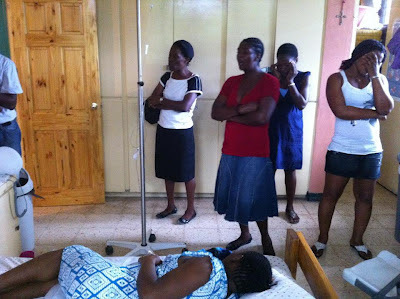 Dr. Jen is going to go south to visit Mama Emmanuel she was released from the hospital. Her life is truly a miracle, thanks for praying for her! September is shaping up to be just as expected: busy! So far September is mainly about baby boys... we are thankful for many healthy babies and mommas this month! There is a story to share today. It is not a story of economics, although it is. It is not a story of injustice, although it is. 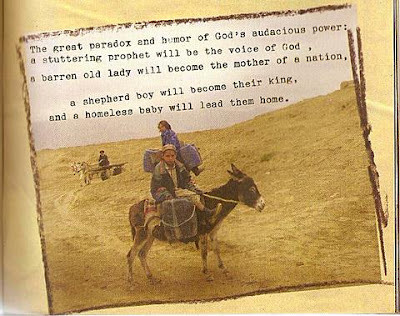 It is not a story of hope, although it is. It is not a story that changes the world, although it does. Statistically speaking, mothers that have given birth multiple times are at a greater risk of death with each subsequent delivery. Specifically, the term 'grand multiparas' - mothers who have given birth more than five times, are at a higher risk of postpartum hemorrhage and other complications. The most at risk groups are grand multiparas and very young first time mothers. Statistics are shocking and easy to share. Stories are startling; they are shared with care. Stories are about people and people deserve respect. Telling stories is never about inviting pity or exploitation. Telling the stories is always about opening the eyes of the world to the realties around us. Telling stories is about stirring hearts and inviting those with the means and the ability to join together in action to help respond to the need. 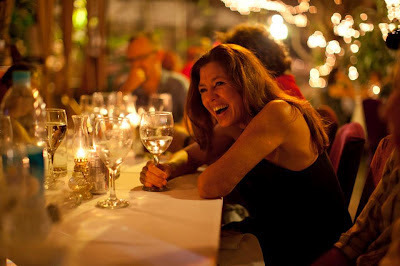 Telling stories is about honoring the strength, courage, and resiliency of the people of Haiti. More than anything, we wish their battle were not so agonizing. We wish they had no need for such tenacity. We wish there were far fewer stories to tell. One life lost too young always has an enormous effect on those left behind. In this instance the loss cannot be quantified. Today we learned of one life lost at the age of 36. In one fell swoop seven children became orphaned as one mother passed away. 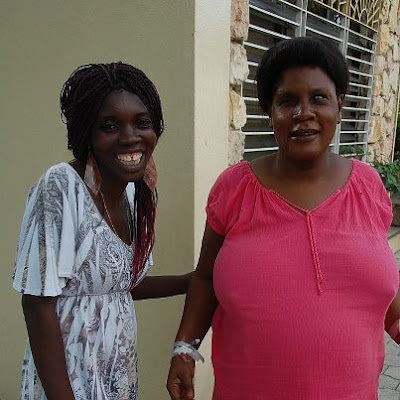 Yveline entered Heartline's program when she was three months pregnant. She delivered a healthy baby girl at the maternity center in late January. Yveline and her daughter graduated from the Early Childhood Development program about eight weeks ago. Once the ladies graduate they typically only stop in on occasion to say hello. 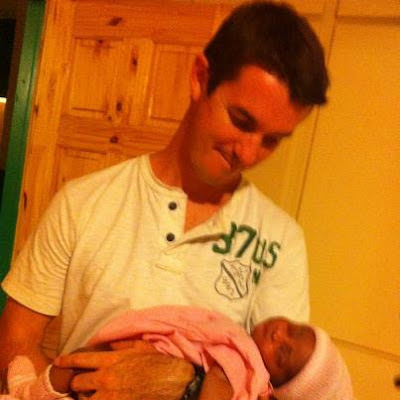 When Yveline walked into the house holding a tiny baby and her 7 month old daughter today, we instantly wondered why. Over the next several minutes Yveline tearfully explained why. 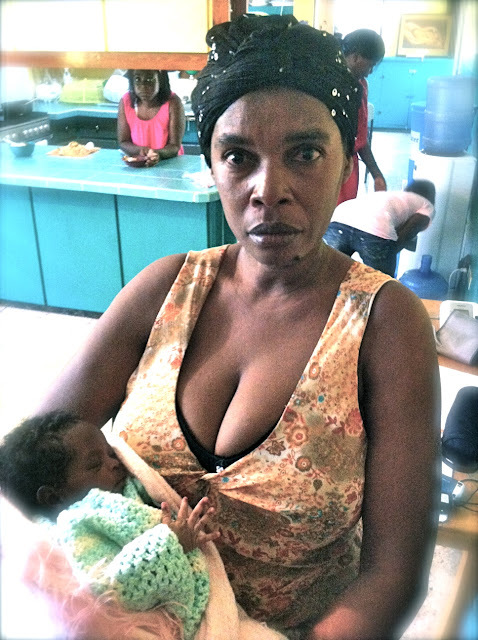 Last week Yveline's thirty-six year old sister gave birth at home, in Petionville, to her seventh child. According to Yveline, everything seemed okay and her sister, Yvrose, asked for food not too long after delivering her daughter. The only family member with her at the time left to go buy food for her. When the family member returned Yvrose was dead. It cannot be known exactly what happened, the assumption is that Yvrose bled to death. Yveline is still nursing her 8 month old daughter and has begun nursing her niece as well. Quite resolutely Yveline told us she has plans of taking at least a few of her sister's children in and will raise them. This is the Haitian way. Families help one another. Other family members absorb children when someone gets ill or passes away. We don't suppose that we can even begin to imagine the weight of this responsibility for Yveline and her husband. 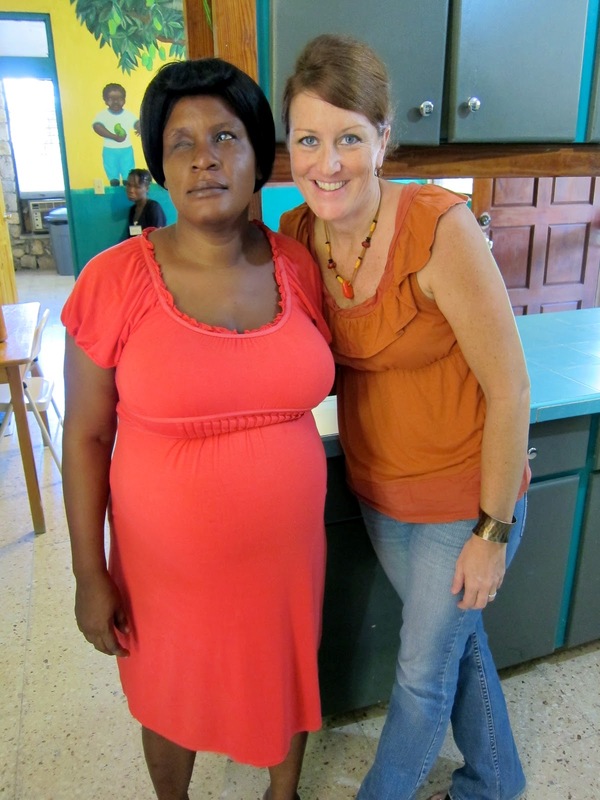 In the coming weeks as Yveline's needs become known, we'll better understand how to help. Please remember this family in your thoughts and prayers. The Heartline prenatal program exists for a number of reasons; among those reasons is a desire to reduce the number of orphans in Haiti. The program seeks to achieve that by reducing the maternal mortality rate in Haiti and also by encouraging mothers that they can raise their own children and that material poverty doesn't need to mean placing a child in an orphanage. 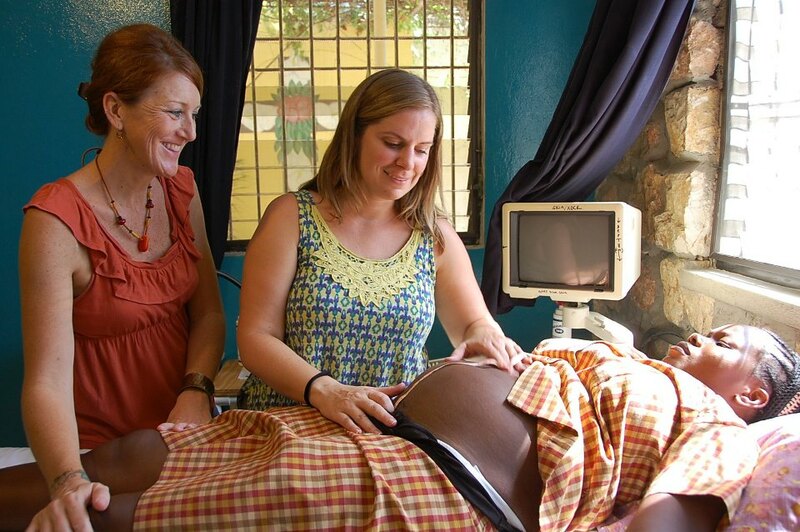 Heartline Ministries has hopes and dreams of expanding the prenatal program, thereby multiplying the number of women that can enter the program, receive prenatal care, and deliver their babies in a safer environment. Most maternal deaths are avoidable, the solutions to the common complications are well known and something as simple as a trained midwife can most often safe a life. Stay tuned for information about the "Run for Life' taking place in a few months. This major undertaking will raise funds and awareness of the great need for high quality maternal healthcare in Haiti. Proceeds will be used to build a new Heartline maternity center with the goal of serving many more women at a time. Heartline Ministries is a registered 501(c)(3) in the state of Washington. "Investing in women and girls health is smart economics. According to the United Nations Population Fund women contribute to a majority of small businesses in the developing world and their unpaid work on the farm and at home account for one-third of the world’s GDP. The U.S. Agency for International Development estimates that maternal and newborn deaths cost the world $15 billion in lost productivity." "Women are not dying because of diseases we cannot treat .... They are dying because societies have yet to make the decision that their lives are worth saving." Today was a crazy busy day at the Maternity Center. This meant no time to do the annual birthday post. We're slackers at everything, including tradition it seems. It is still September 18 in the Caribbean - and therefore this still counts! We are sharing the words we wrote about Isaac last year along with his photo from earlier tonight. A Tuesday birthday does not allow for a trip to the beach. Isaac and Lydia decided to split the difference between their birthdays and go to the beach on a Saturday late in this month to celebrate their two birthdays that are only 16 days apart. Blessed are the peacemakers (Isaac) -- for they will be called sons of God. The appointed Livesay family diplomat turns the big one - oh today. As the years have quickly passed, we've been blessed again and again by this boy. We've come to realize that he is beyond unique. His smile brightens rooms. His joy lifts spirits. His sunny disposition trickles down on all those around him. His crazy levels of curiosity kill the cat...or at least ensures that he knows absolutely everything about them. He loves to learn. He asks dozens of questions every day, hoping to glean a greater understanding of things. He cares about how others feel. I mean he really genuinely cares. He is a gentle, kind, and peace-loving boy. In so many ways Isaac amazes us. We'll sometimes say, "He's not like us. He's SO good." Much of who Isaac is is nurture; we know that. But more is nature. God made Isaac a boy that loves harmony and desires to encourage others. We'd be hard pressed to remember more than a handful of times when Isaac was mean to anyone. He really is one of the very kindest people we know. It's pretty amazing that we get to get to have this boy in our family. We're so lucky. We don't often write about current events or what is in the mainstream news. We're narrow and limited and what you see is what you get. Generally, we only write about two things: 1. Our tribe & 2. 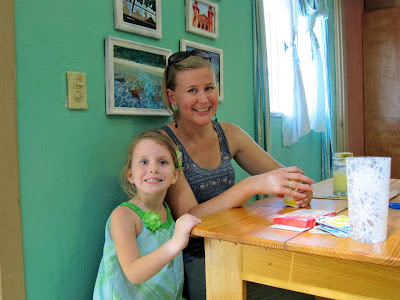 Living, working, and everyday learning & growing in Haiti. Once in a long while I'll get worked up about something. That usually happens because some news story has touched a deep nerve in my heart due to a personal connection. 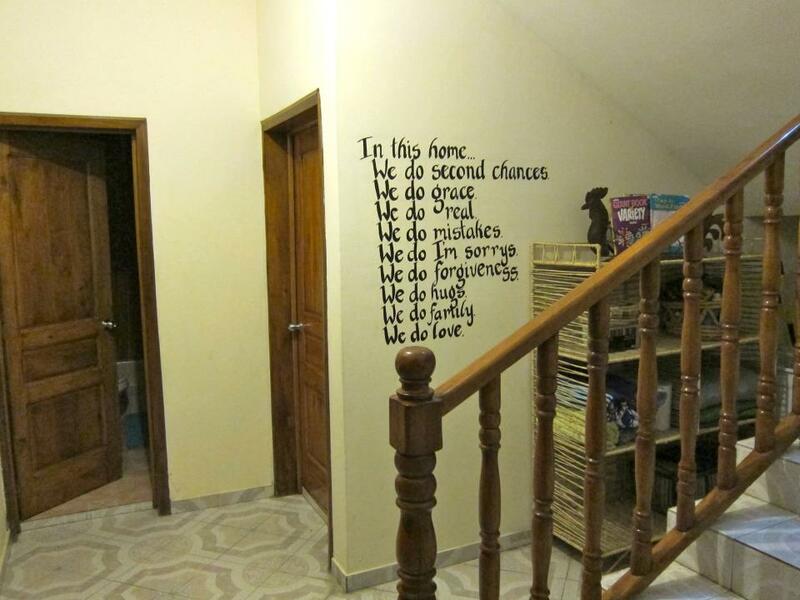 With only a few exceptions, we don't venture outside of the lines here. We're the experts of nothing and the masters of zilch. Half the time I have to google things people are talking about to figure out what the heck is going on in the outside world of grown-up big people. You'll never find a recipe or a political discussion posted here. I would rather pop my eyeballs out and set them in a pot of boiling hot bean sauce (and not share the recipe) than talk about politics on the internet. "Dialogue is best done in relationship, over breaking bread, over coffee." "We both have strong convictions that could lead to ugly... Human reactions, emotions and interactions are complex. I also know there are some things that I won't discuss online, not because I lack conviction but because the potential for misinterpretation is too high..."
I think we're all fairly poor listeners. Misinterpretation or not, we aren't really open to hearing in the first place. We're a lot better at stating what we think than we are at hearing.In part, that must be why we love the internet so much. Because we struggle to hear one another and be respectful listeners in a face to face conversation, I see no point in attempting to communicate this more contentious stuff outside of close relationships, and not on the stinkin' internet. I have good friends that cross all political lines and can be categorized in dozens of ways.My opinions (or my apathy) are not as important to me as my relationships with my friends.I value greatly my friendships with people that are disillusioned and not even sure what they believe anymore because they are too deeply entrenched in unanswered questions. I value my friendship with my Libertarian friend in Virginia and I value my friendship with my Obama-loving friends in Minnesota.I value my friendships with my conservative friends and family. I have listened to how they arrived at their decision and I don't begrudge any of them for believing in "their guy".I just don't believe much of it with them. I doubt I can articulate clearly what I'm trying to communicate today. Trust me, I don't want to be controversial, combative, confusing or any any host of other words that start with the letter C.
I just know that there is something that is true for me personally.I don't presuppose anyone needs to feel the way I feel about it. I assume that I arrived at this point as a result of being removed from the vortex of the system. Simply put, I believe that I need not become embroiled in the debate, nor need I engage the rhetoric of the political high-season. I've been told this is un-American, and I disagree. Here's the thing, in my mind it's all an earthy battle ultimately bound to fail. I'd rather battle for Kindgom things that I don't believe will fail. I'm in a place where instead of engaging in that battle, I'd rather focus on the real and tangible war right in front of me. I don't need to battle over politics because I have a massive fight on my hands as it is. The Kingdom isn't so much about how I vote (or promote my vote on-line) - the Kingdom is more about the way I love and live and act toward the lost and hurting around me. I urge you: Walk as Jesus walked. He has graciously extended to you. Be humble. Be gentle. Be patient. Tolerate one another in an atmosphere thick with love. with peace binding you together. just as you were all called to pursue one hope. 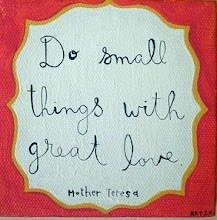 Henri Nouwen wrote: "fundraising is first of all, a form of ministry. It is a way of announcing your vision, and inviting other people into your vision with the resources that are available to them." Seven years ago next month with turning and nervous stomachs, we sent out our very first fundraising letter. Have we been able to approach fundraising with the attitude of Henri? Uh. <Ahem> no. not always so much. Thankfully even though at times we've been too prideful or too afraid, good folks have joined the vision and for seven years have been a major part of this crazy-town-adventure to love, serve, and learn in Haiti. We have no idea what compels friends, family, acquaintances, and strangers to help us live and work here -- it must be Christ in you - but we do know that you're loving, generous, kind, and magnificent people - and we're grateful beyond description to have you walking this road with us. It matters and we're touched. ... Well, in that kind of a month - we admit we are stressed - but more than that, we are so grateful that you see fit to help us be here and you generously give and you pray. Thank you for that. We know sacrifices are made in order for you to send a check to Heartline marked "Livesay Family". We don't underestimate or discount the tangible ways you literally make this possible for us. We have seriously appreciated your ability to hear from us and accept us during high points and low points on the journey. We've found this to be a safe place to share a lot of joy and a lot of sorrow without too much measuring or weighing our words. We're humbled and grateful for that. 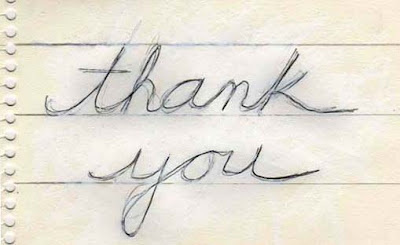 Thank you for being with us on this joy and sorrow-filled, beautiful and chaotic journey of learning and love. Please continue walking with us - because we.need.you. I am the mission, here. I am the one who is in need, who is eager to learn about Jesus from the lives of people who are different from me. I need to experience the miracles that come when you live and work with the poor and the powerless, when you get to see Jesus in all his power, when you are stripped of your own safety nets. I want to see the kingdom of God made manifest, to see it where Jesus promised it would be: in the margins of society, on the fringes of religion. I want real life, I want to drink it full, and I don’t want the watered-down happy and dull life that has been promised to me, both by the church and my culture at large. I want to understand the worst parts of the world so that I might marvel even more at the good. You can go here to read her entire post. Between Troy being gone, that stupid flu bug at our house, lots of action at the Maternity Center, and news of sorrow and loss from more than one friend across the globe ... well, the last couple of days have been 110% chaotic and tiring. Time is short and emotions are running high. We're all processing a lot and praying hard for a handful of complicated and sad situations. The way chaos and suffering and beauty and life intersect - is sometimes overwhelming. After the earthquake (because of the earthquake) Troy and I met a generous and bigger than life kind of guy named Paul Beltis. He and his wife loved on us in 2010 and have been a huge blessing to our family and to Heartline Ministries in the past few years. Our kids all enjoyed a week with "Mr Beltis" at our house in January of this year. He actually seemed like a real-life SantaClaus. We currently have a massive and obnoxious supply of Starbucks Christmas Blend coffee on hand (in Haiti in September) because Paul once heard I liked Christmas Blend. That's only a tiny peek into his unique way of encouraging all of us. On Wednesday this exceptionally giving man passed away unexpectedly at his home in California. As a family and as a part of the larger Heartline family, we all grieve his passing and thank God for the opportunity to have known him in this life. His six grown daughters and wife are in our thoughts and prayers. More than five years ago Beth McHoul, co-director of Heartline Ministries, had a strong sense that she should start a new program. 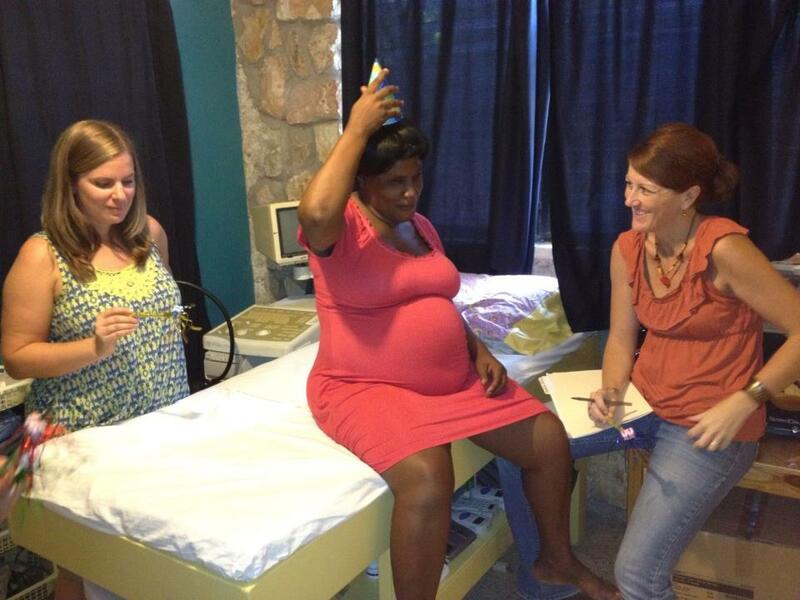 Beth desired to respond to the incredible need for quality, respectful, maternal healthcare in Haiti. Additionally, she hoped to encourage young mothers to raise their children and avoid poverty-driven decision(s) to place their little ones in an institution. Asking God for guidance, setting aside much fear, she slowly forged ahead and began with a very small program that met each week to offer education and vitamins. Along the way multiple friends from multiple countries encouraged the growth of the program with their ideas, guidance, prayers, and donations. What began as a very small and quite undeveloped program is now an organized, high quality, beautifully functioning prenatal and labor & delivery program. The number of women concurrently being served has changed from twenty to about ninety*. *Forty-two pregnant, forty-five in early childhood development. This number does not take the Depo Provera Family Planning program into account. That program is serving more than 500 women. The dream and desire of twinning and even tripling the size of the prenatal program is alive in the hearts of the Heartline team. Heartline owns a piece of land and with your help has already raised $145,000 toward building a new Maternity Center on that land. We are excited to be growing responsibly and looking forward to the day the money is raised and the new maternity center can be built. We believe that these programs are deeply impacting the women in our community and saving lives. This weekend the five-year-old vision for better and more respectful maternal health care services equaled three precious new lives being ushered into the world safely. All three births were prayed over, sweated over, watched over, and very important to the staff at Heartline Ministries. Lumana and her husband had been patiently waiting for the birth of their second child. By her choice Lumana had lived in the Heartline postpartum room for about a week in late August because her home is far away and she feared she couldn't make it in time. She waited for many nights and then decided to risk it and finish out her wait at home. Saturday morning around 7:30 am Lumana arrived almost completely ready to push her son into the world. The first baby to join us outside of the safety of his Mama this weekend was little Roodens. Lumana delivered him shortly after 9am with the additional love and support of her husband who sat on the edge of the bed touching her head while praying for her as she pushed. This precious little family spent about 36 hours in the postpartum area before Heartline provided transport home late in the day Sunday. Lumana and baby Roodens will come to class each Tuesday for the next six months for further education, support, and follow-up care. We're so thankful for God's protection over this delivery. Nadege is the sister of a former client of Heartline. Easily the shortest woman we've ever had in our program, we wondered how such a tiny person would fare during labor and delivery. 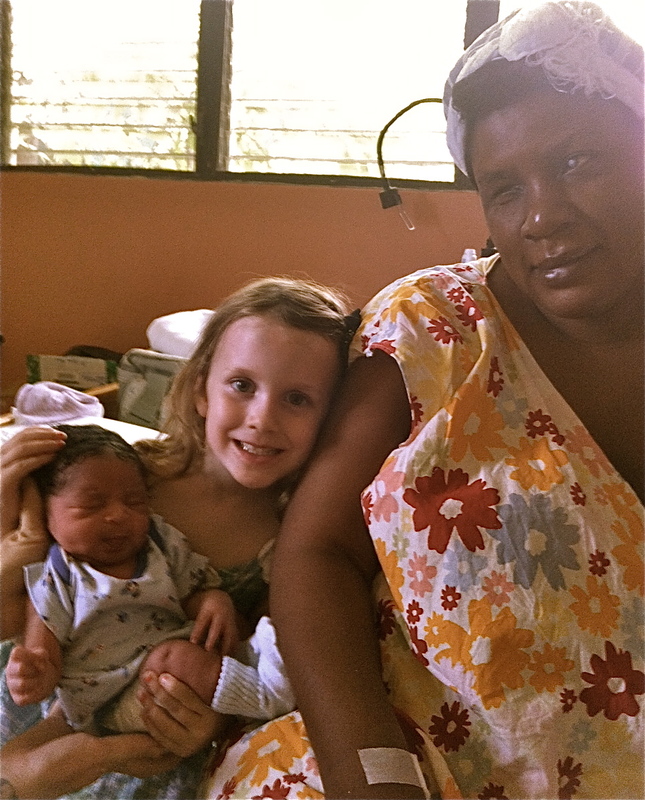 Nadege arrived at 9:30 am on Saturday morning. She labored beautifully and with much courage all throughout the day Saturday. At around 4pm it became apparent that her little one's head was cocked at an odd angle in her pelvis and was not descending well. With some guidance and prayers, attempts were made to adjust the baby's head. 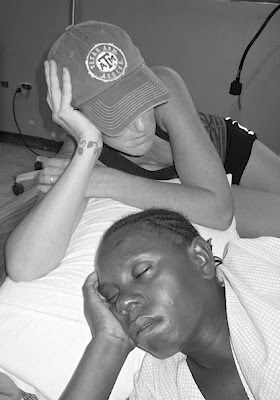 After a time it was decided that Nadege could not deliver with us and was in need of a C-Section. 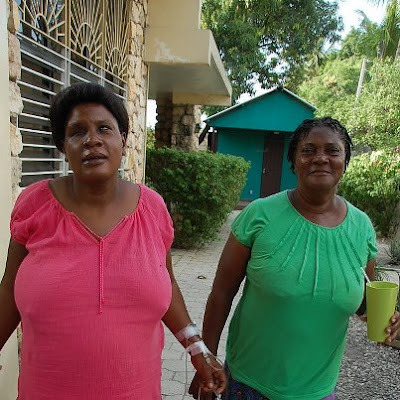 At 7pm Nadege was loaded into the Heartline Ambulance and off we went in search of a hospital to receive her. The first hospital kindly reported that one of their two operating rooms was down and that because of that they could not receive her for surgery. This is not an uncommon answer when searching for medical care in Haiti. We went to a second hospital that serves those with high-risk deliveries and they were able to confirm that they agreed a C/S was the only option for Nadege. They accepted her into their care. Because of the high volume of need and the lack of beds, Nadege and her son were discharged 38 hours after her C/S and are now on their way to Heartline for post-partum care. 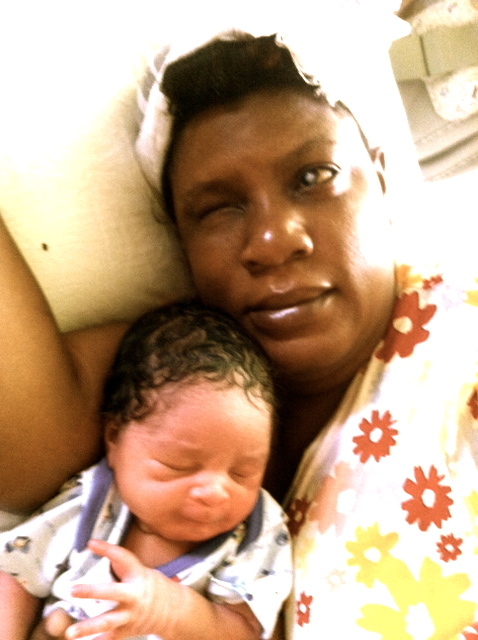 Nadege and her new son will come each Tuesday for the next six months for further love, education, and follow-up care. 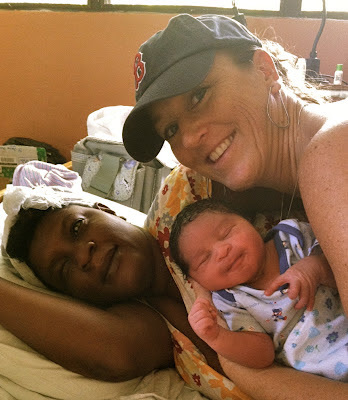 We're grateful Nadege and her son got the care they needed. Shedlyne is a 23 year old first time mother. She was married earlier this year and is blessed to be part of a large family that offers much support. Throughout her entire time in labor she had a cheering section waiting on the front porch and taking turns helping her. At times her father, her sister, her sister-in-law and her husband were all there at once. Other family members dropped in on occasion. Shedlyne was the first to arrive this weekend, and the last to deliver. She arrived shortly after midnight on what was technically Saturday morning. She labored slowly and somewhat unproductively all day Saturday. She went home for a few hours around 7pm Saturday evening, then returned afraid and in pain again about five hours later. Shedlyne had a long and difficult labor. Not unlike many small first time moms it took her quite a while to find her groove and cope with the pain. After two+ hours of pushing and some fairly intense moments Shedlyne delivered her 5 pound 10 ounce baby girl at 2am Monday, 49 hours after she first arrived at the Maternity Center. Baby Regina needed a little extra encouragement and attention but got the hang of breathing after a few minutes. Shedlyne and baby Regina will also come to class each Tuesday for the next six months. Please be praying for these precious new lives and for healing for their mothers. We're so thankful to have the ability to call on the Great Physician during these unpredictable labors and deliveries. He has been faithful. Please also stay tuned for more exciting information about the new maternity center and how you can help make it happen.